Dr. Cristian Santizo specializes in treating musculoskeletal pain syndromes and treating various ailments related to occupational health. Dr. Santizo completed his Medical Degree at the Yeshiva University – Albert Einstein College of Medicine in the city of Bronx, New York. He completed his internship and residency training at Florida Hospital in Orlando, Florida and he is currently a Diplomate of the American Academy of Family Physicians. At the conclusion of his residency training, Dr. Santizo was awarded the Resident Teacher Award for promoting and teaching family medicine core principles to pre-med and medical students along with junior medical residents and colleagues alike. Furthermore, he has conducted international and domestic research projects that were published in peer reviewed journals. Most recently, Dr. Cristian Santizo has garnered proficient knowledge and practiced in Platelet Rich Plasma (PRP) therapy along with its application for numerous pain syndromes, including musculoskeletal and neuropathic pain, due to chronic disease or acute injuries. Other PRP applications include cosmetics and wound healing solutions. PRP therapy is a Regenerative Medicine service that utilizes the body’s intrinsic healing ability. This treatment has an exceptionally high success rate to heal wounds with a minimal rate of side effects. 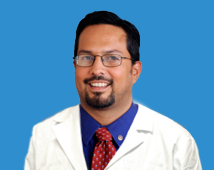 Dr. Santizo’s core philosophy is that diet and exercise are the cornerstones for maintaining health and wellness. He also believes in treating patients conservatively with the least possible amount of side effects and reserves more aggressive treatments only when absolutely necessary.